This new co-branded motor oil is part of Shell’s ongoing deal with Maserati as its exclusive lubricants supplier, which runs until 2020. The Maserati’s 2018 cars (V6 Gasoline engine) will get a first fill of the new product from the production lines in Modena and Turin, Italy. The product will also be available as refills at any one of the over 450 authorized Maserati dealerships around the world. Maserati’s discerning customers can therefore be confident that their Maserati car is continuously serviced with the most high-quality motor oil manufactured by Shell to provide Maserati’s engines with high performance and engine protection throughout the car’s lifespan. “After the successful collaboration put in place for 5W-40, Maserati and Shell worked again together to develop a new co-branded motor oil specifically formulated and tested to optimize the power of our engines. Shell shares with us the same commitment to provide outstanding performances with passion for excellence and innovation, that’s why we chose their technical excellence for our cars”, said Rosberto Mcginnis, Head of Maserati Parts & Service, Maserati Spa. The fully synthetic premium engine oil is specially formulated to meet the engine requirements of Maserati’s engines. Shell Helix Ultra Maserati 10W-60 uses Shell’s unique gas-to-liquid (GTL)-based PurePlus Technology and is designed in collaboration with Maserati to meet the technical needs of their engines. The motor oil is formulated to further optimize the performance of Maserati engines by stabilizing lubricity under extreme temperatures and providing excellent oxidation protection. In layman’s terms, this means better engine protection against wear and corrosion. Shell and Maserati’s collaboration dates back to 2007, when both parties agreed to enter into a technical and commercial cooperation agreement. Since then, Maserati has recommended Shell lubricants in all its vehicles. Shell provides global accessibility to its leading products with a strong global lubricants supply chain network of 5 base oil manufacturing plants, and 50 lubricants blending and grease manufacturing plants globally. The term “Shell Lubricants” collectively refers to Shell Group companies engaged in the lubricants business. Shell sells a wide variety of lubricants to meet customer needs across a range of applications. These include consumer motoring, heavy-duty transport, mining, power generation and general engineering. 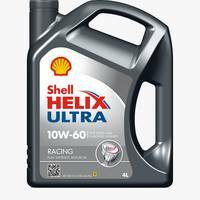 Shell’s portfolio of lubricant brands includes Pennzoil, Quaker State, Shell Helix, Shell Rotella, Shell Tellus and Shell Rimula. We are active across the full lubricant supply chain. We manufacture base oils in five plants; blend base oils with additives to make lubricants and manufacture grease in 50 plants; distribute, market and sell lubricants in over 100 countries. We also provide technical and business support to customers. We offer lubricant-related services in addition to our product range. These include: Shell LubeMatch – the market leading product on-line recommendation tool, Shell LubeAdvisor – helps customers to select the right lubricant through highly trained Shell technical staff as well as online tools, and Shell LubeAnalyst – an early warning system that enables customers to monitor the condition of their equipment and lubricant, helping to save money on maintenance and avoid potential lost business through equipment failure. Shell’s world-class technology works to deliver value to our customers. Innovation, product application and technical collaboration are at the heart of Shell lubricants. We have leading lubricants research centres in China, Germany, Japan and the USA. We invest significantly in technology and work closely with our customers to develop innovative lubricants. We have a patent portfolio with 150 + patent series for lubricants, base oils and greases; more than 200 scientists and lubricants engineers dedicated to lubricants research and development. Customer benefits include lower maintenance costs, longer equipment life and reduced energy consumption. One of the ways we push the boundaries of lubricant technology is by working closely with top motor racing teams such as Scuderia Ferrari and BMW Motorsport. These technical partnerships enable us to expand our knowledge of lubrication science and transfer cutting-edge technology from the racetrack to our commercial products. Fleet Management Service fosters fuel and cost conservation.